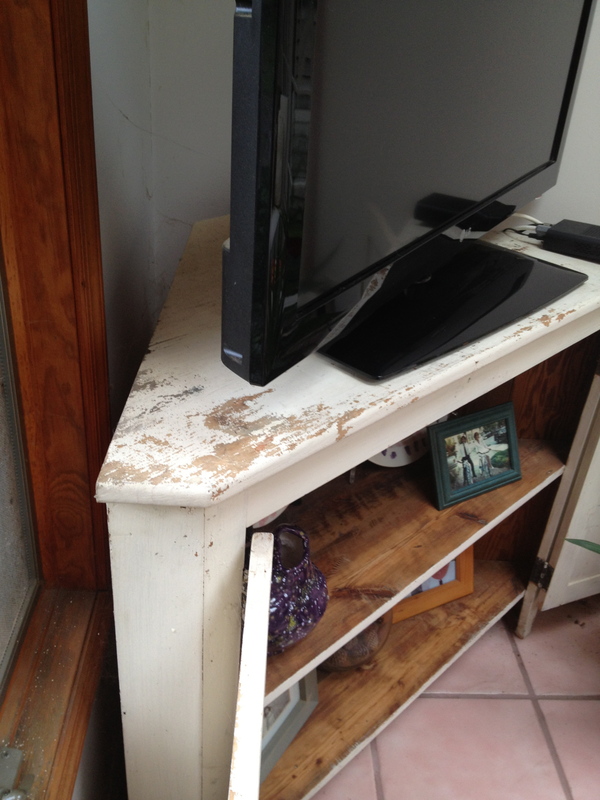 With no offense meant to the makers of particleboard and tinted glass, I abhor TV stands. Perhaps it’s because I came of age in the 70s and 80s…the era of the gigantic “entertainment units” that housed televisions, rack stereo systems, plus speakers and took up an entire wall of the house. Due to this somewhat irrational hatred, I’ve had to get creative with finding homes on which our televisions can perch. My trusted resale and antique shops have once again come to the rescue. 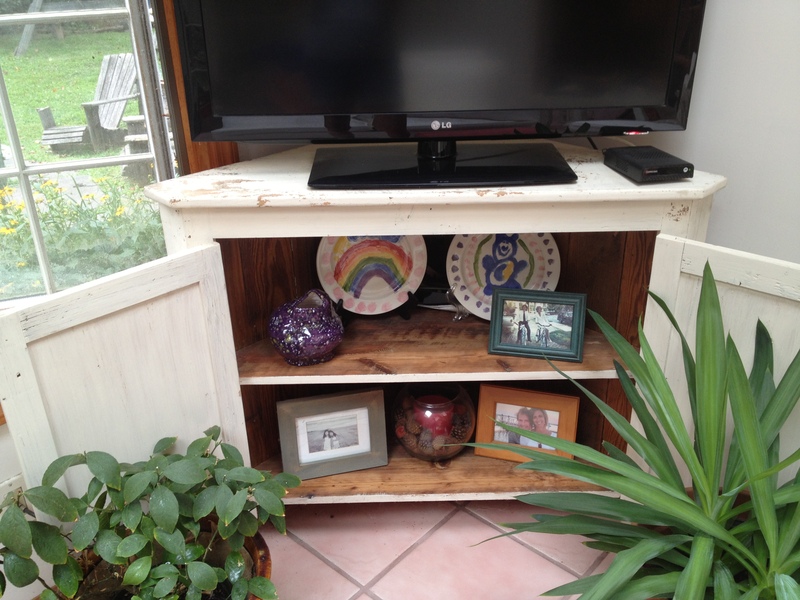 The bottom half of a corner cupboard serves as the perfect TV stand in our sunroom. It tucks neatly away into the corner of the room, shrinking the dominance of the TV. I leave the doors open to display photographs and art; however, the shelves could easily house additional electronics by simply drilling a hole in the back to pass the wires through then hide them behind the closed doors. I used a similar approach at our summer shore house, which is big on charm but small on space. 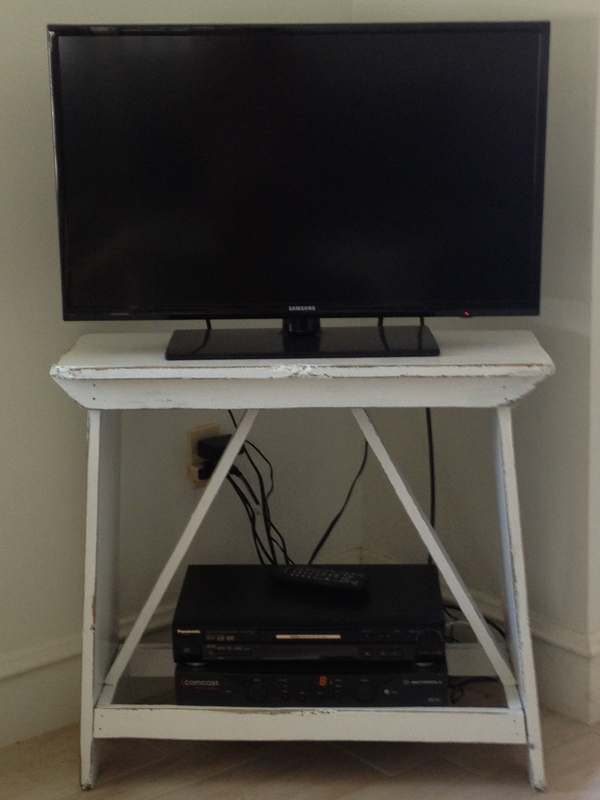 I liked this table for the TV because it is open and airy and doesn’t clutter the room. 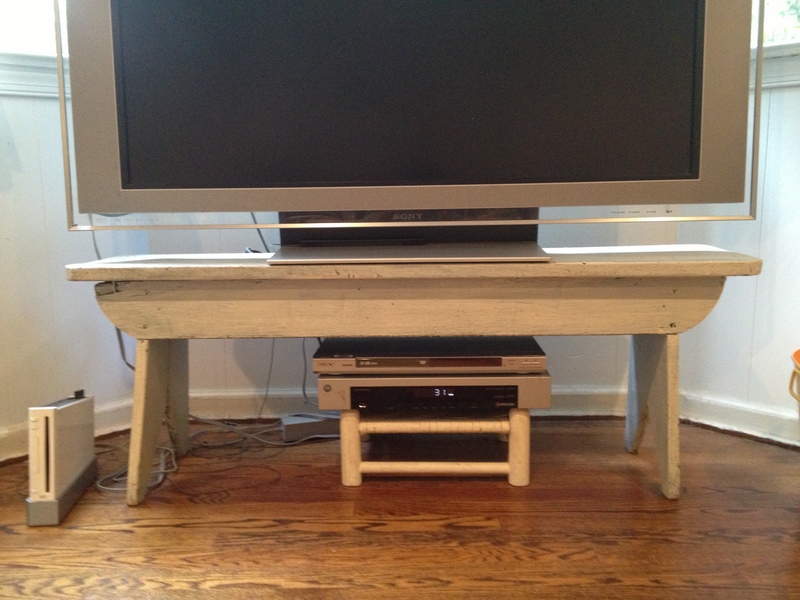 The bottom rails of the table were the perfect width to hold the additional cable box and DVD player. 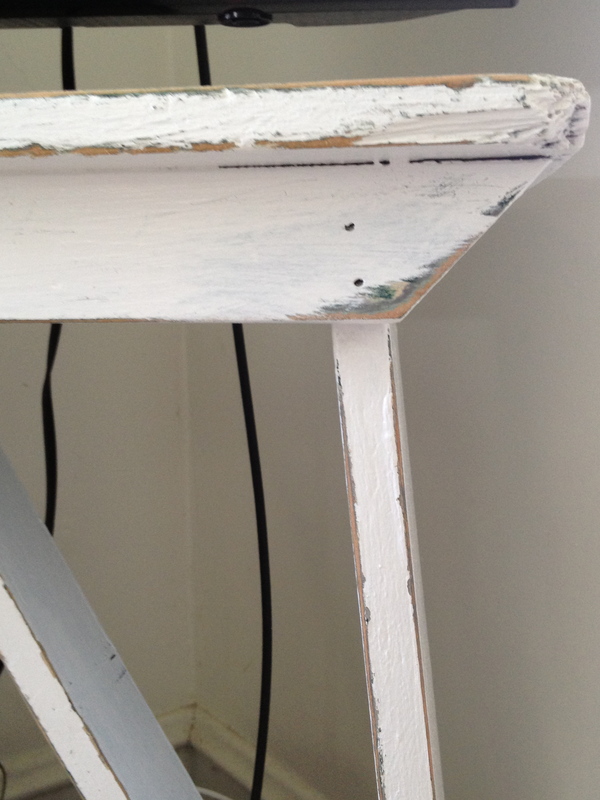 This table was originally painted green, but a few coats of white paint and some sanding made it the perfect vintage piece for a seashore home. 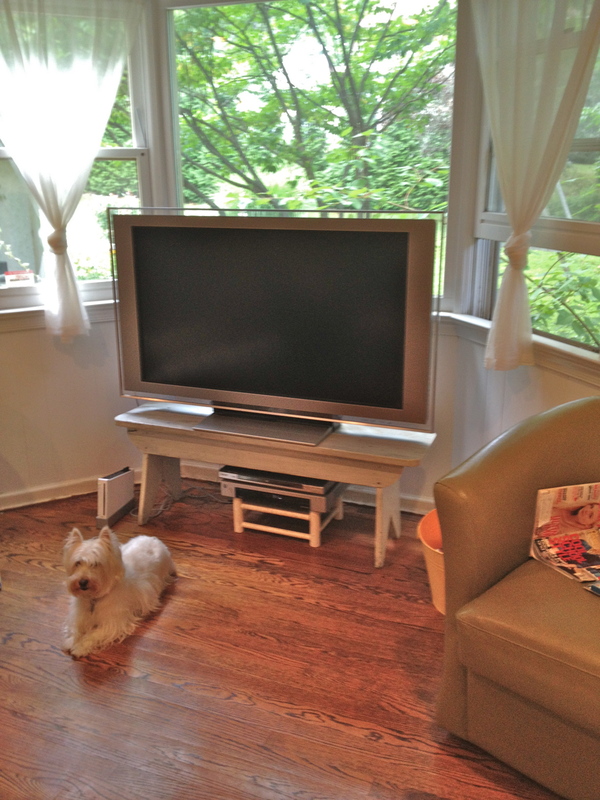 The simplest solution for my TV stand phobia was a plain white bench. We use this to house the TV in our family room. Benches can usually be found in lengths of 36 inches, 48 inches, or 60 inches, so finding the perfect size to fit your TV should be easy. 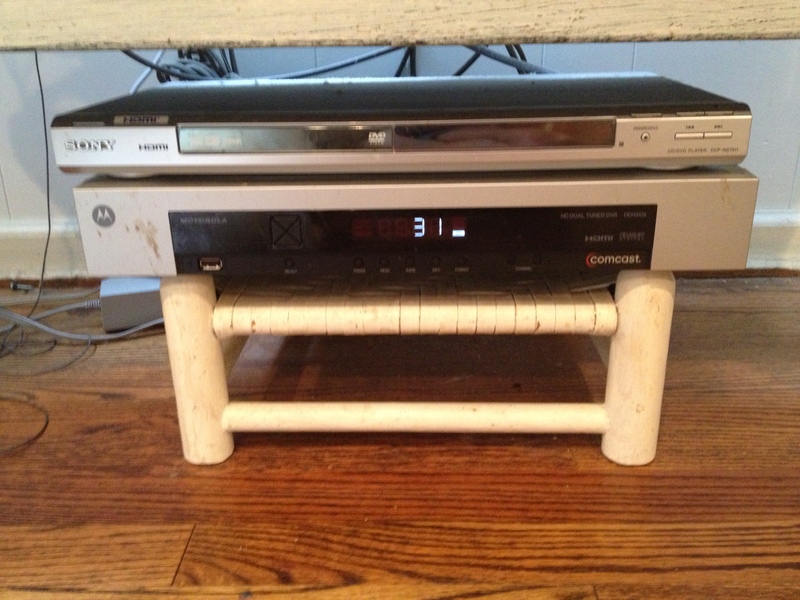 A baby bench holds the cable box and DVD player underneath. 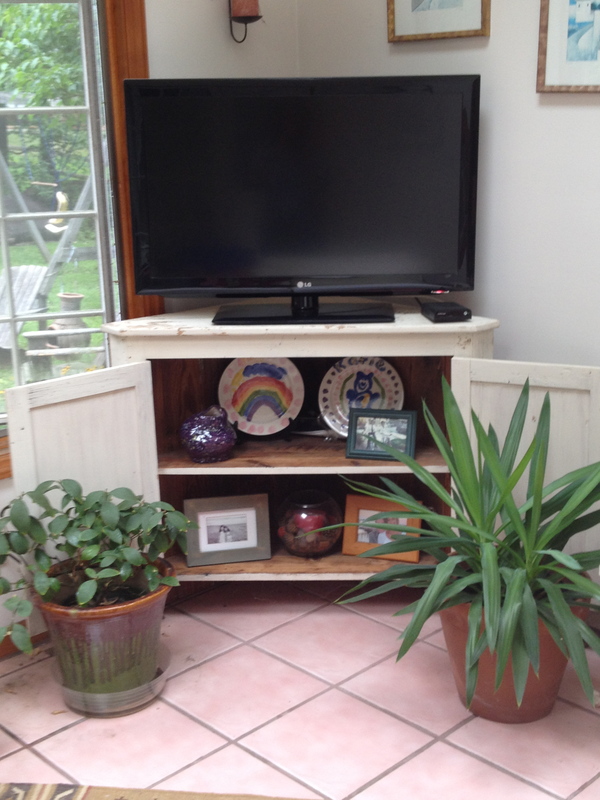 If you’re looking for an alternative to the traditional TV stand for your home, keep an eye out at your local resale or antique shops–even garage sales. Just have fun and use your imagination! Low-Voltage Lighting Equals High-Voltage Wow! Next stop, a new adventure.